I confess: I am in love with artist Dustin Yellin’s mind. He strongly believes that “if you have amazing people around you, then amazing things will happen” and he’s been proving that truth over and over again. In 2015, artist Dustin Yellin did this captivating video, “A Journey Through the Mind of an Artist,” as a TEDTalk in Vancouver. It has been widely viewed. He throws together metaphors, allegories, dreamscapes, and visions and mixes them up into glorious, chaotic and dizzy-making narratives that keep unfolding the longer you stand there and try to take it all in. The monumental apocalyptic “Triptych” which he features in the video was inspired by Dutch painter Hieronymus Bosch’s “The Garden of Earthly Delights” triptych that is part of the permanent collection at the Museo del Prado in Madrid. Yellin’s sculpture weighs 12 tons. Hieronymus Bosch’s painting is not quite so hefty. The other works he features are part of a series of sculptures he calls “Psychogeographies,” which are commentaries on the human condition in these unsettling times. That box is “Pioneer Works”, a creativity incubator that grew out of Yellin’s conviction that the best art and the very best thinking happens when you throw together talented artists and intellectuals and let them build connections with each other and play together to spark up all kinds of marvels that they then share with the rest of the world. Writer Annie Fabricant, in a Huffington Press article written about Pioneer Works before it first opened, was the Yellin-watcher who captured Yellin’s quote about amazing people and things in the opening lines of this thing. It gives you an idea of the intentions behind making his dream-utopia come real. In the intervening years since that article, Yellin has been spot-on. 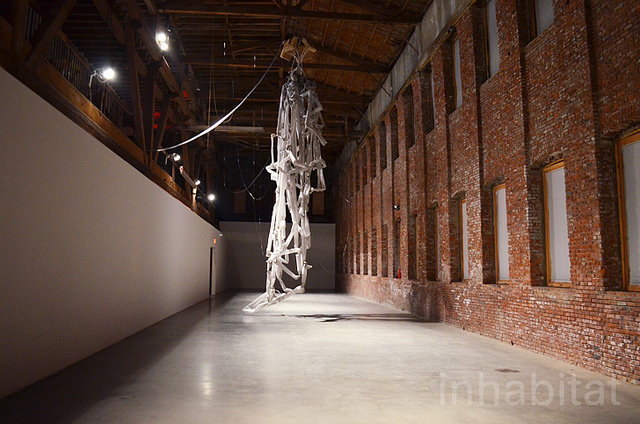 Innovation and alternative thinking happen at Pioneer Works. Five years before the talk, when he was an up-and-coming artist hitting his stride as the darling of the Beautiful People and the blue-chip movers, shakers and cultural illuminati in the Age of Information and Social Connection, Yellin had New York City all abuzz. He had just closed a real estate deal for an enormous three-story, 25,000-square-foot abandoned wreck of a Civil War-era ironworks factory on Pioneer Street as well as its adjoining garbage-strewn lot in the infamous Red Hook, a neighborhood along Brooklyn’s waterfront that was once dubbed the “crack capital of America” by LIFE Magazine in the late 1980’s. The place has history. Pioneer Iron Works, which originally inhabited the building in 1866, created machinery for sugar production (which they shipped to Cuba in the late 1800’s and then to Puerto Rico in the early 1900’s) as well as railroad tracks and large-scale machines required by industry. The building burned to the ground in a devastating fire in 1881 and was quickly rebuilt. The factory remained in operation until the end of World War II. It was this building that was a landmark that gave Pioneer Street its name. 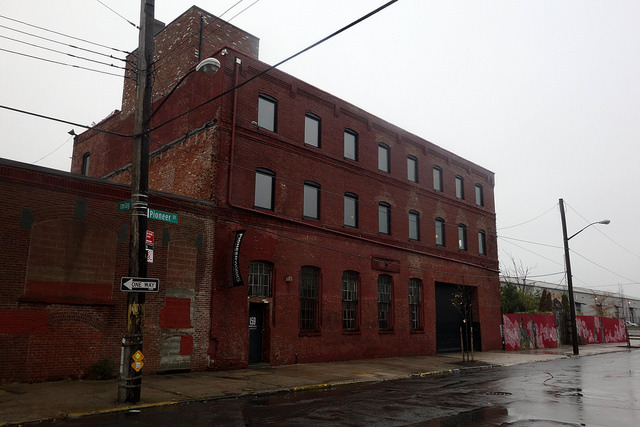 The one-time maritime neighborhood of Red Hook is on a peninsula that projects into the Upper New York Bay. It is less than one square mile, bounded by the Gowanus Expressway, the Gowanus Canal, Upper New York Bay and Buttermilk Channel. It was reported that Yellin paid $3.7 million for the place. It had no windows, no floors, no stairs, no utilities, and few amenities. It did have a forty-foot high ceiling that soared and it had space…lots and lots of space. The first time, the box officially opened was in June, 2012. The renovations were impressive. For example, more than 100 windows were added to the once-windowless structure, turning it into a light and airy fairyland sort of place. Then, on October 29, 2012, Hurricane Sandy hit New York City. The mega-storm’s 29-foot waves and storm surges caused extensive coastal flooding and record-high damages. Sandy was the fourth-costliest Atlantic hurricane in U.S. history. At its peak it was a Category 3 hurricane. Low-lying Red Hook was one of the ten communities that were hardest hit. More than five feet of water inundated most of the local businesses and residences. At the Works, 3,200 square feet of drywall was ruined. All of the ground-floor windows had to be redone. The wood shop, metal shop and most of the equipment and machinery had to be replaced. The bathrooms had to be rebuilt. There was no electricity for two months. In the newly installed gardens surrounding the complex, trees had toppled and many of the beds were destroyed. Entire sections of the half-acre garden area had to be replanted and redesigned. Yellin and his team had to clean up and re-start the reconstruction from the bottom up again. 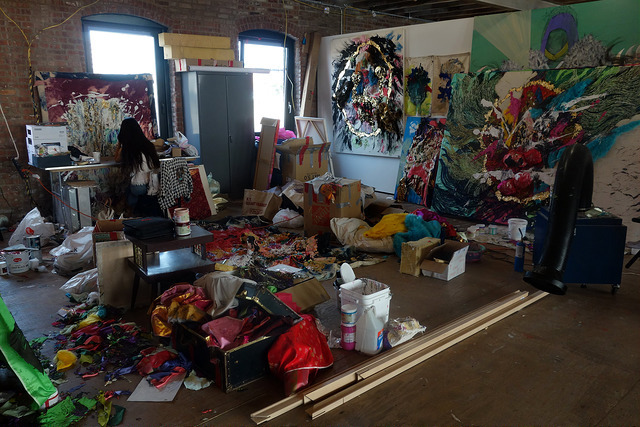 In the years since then the non-profit Pioneer Works Center for Art and Innovation has lived up to its name magnificently. 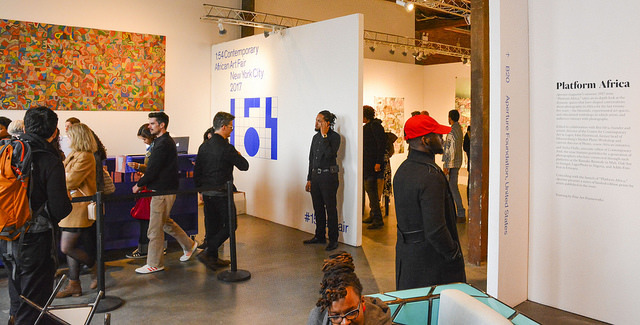 It attracts just-regular folks from the surrounding neighborhoods and denizens of the close-knit New York art scene as well as admirers from all over the world. 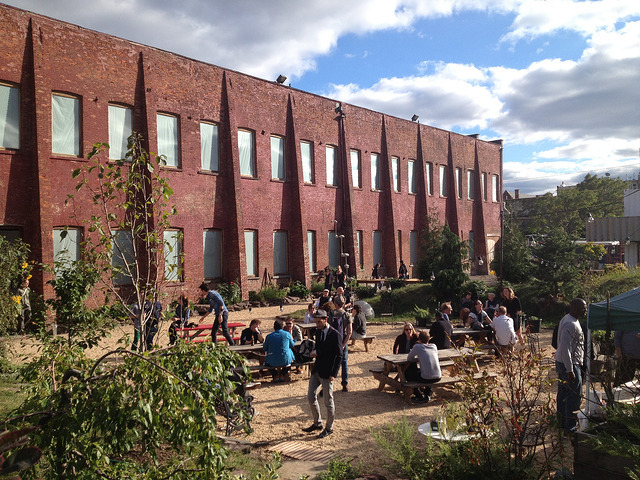 More than 150,000 people visit the Pioneer Works Center every year, attracted by the quirky free and affordable programs the group offers. Nearly 500,000 visitors visit the group’s website every year. The best thing about all this is that it is not all about Yellin. There is no one voice, no one vision. Instead it has grown into a chorus of voices, a multiplicity of visions. It’s like a “Maker Space” taken to the nth degree, actually. The thing fosters collaboration, creating partnerships between curators, artists, inventors, scientists, philosophers and all the other kinds of Makers. 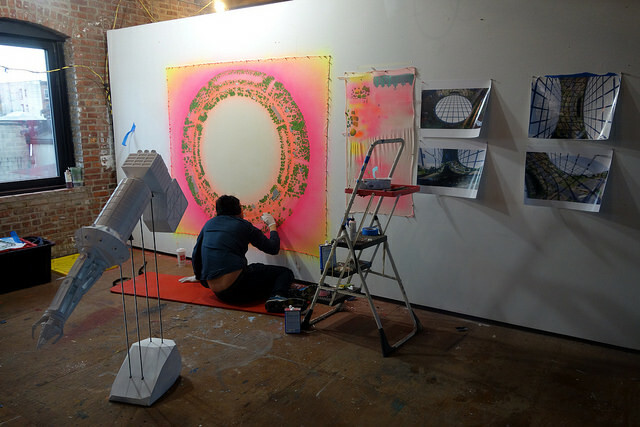 There are ongoing artist and scientist residency programs that throw together leading-edge scientists and scholars, Ph.D. researchers, programmers, physicists, biologists, chemists with visual and performing artists, along with writers, musicians, and designers. The programs give them the tools they need to do their work (or take it to another level) in an environment that supports cross-talk between creatives and scientists and encourages them to collaborate on projects together. The partnerships and collaborations growing out of the cross-pollination of all of these varied disciplines have become a strong jumping-off point that has resulted in multi-layered, complex projects for the community to experience and share. 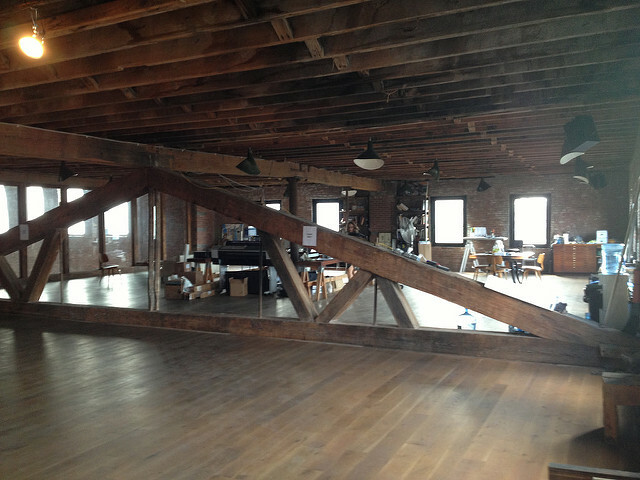 The space is huge. There’s room for special art installations, lectures by art and science leaders, film presentations, musical and dance performances, and parties and barbecues too. Educational courses offered by the center run the gamut through the assorted fields of arts and sciences represented by the people wandering around. They have also included things like circuitry design, lock-picking, making kombucha, and even advice about how to fake being dead. 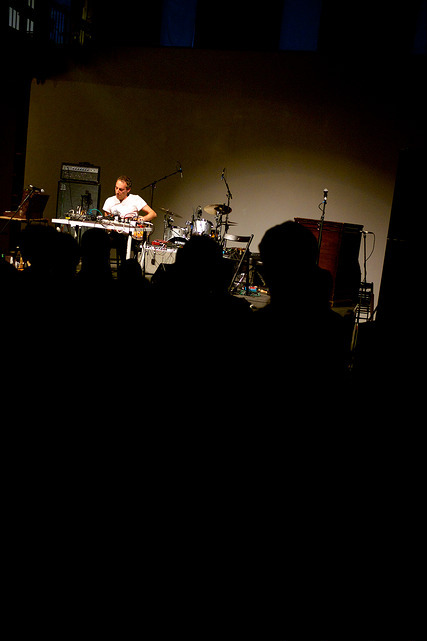 In it Yellin has a grand time explaining the whys and the hows that help Pioneer Works work. I am grateful for that madness. I am grateful that they make it.